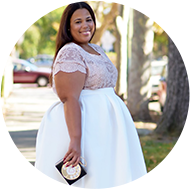 I have a confession; I use my blog as a catalog of my outfits for future events, trips, etc. I have a April Miami trip coming up and thought this would be perfect to pack. I can get multiple outfits out of two pieces. The top is pretty good at resisting wrinkles (the pants aren't). On top of everything, this look is so comfortable! Another confession, I bought two sets of this look. They made the perfect lounging at home (I know the FedEx guy is happy that I can finally answer the door with clothes on), but I didn't want to mess up the one I was going to take with me to Miami, so I just opted to buy another set. As most of you saw me in the dressing room trying this on, this look is from the AVA & VIV collection at Target. At my headquarters visit, I saw the hand drawn print for these pants. It's cool to see this on actual clothing. While I was visiting my local Target, I had an "aha" moment and saw the power of the dressing room. I've shopped so long online that it's easy for me to discount trying on clothing. I picked this up off the rack reluctantly. I liked the set on Gabi, but she wore a different print so in an effort to not dupe her look; I tried the other print. I tried on both prints but loved this one. Had I looked at this online, I probably would have never purchased it, but having the option to try it on was the difference. I'm so good at online shopping sometimes it's hard for me to understand why everyone doesn't do it. I get it now. 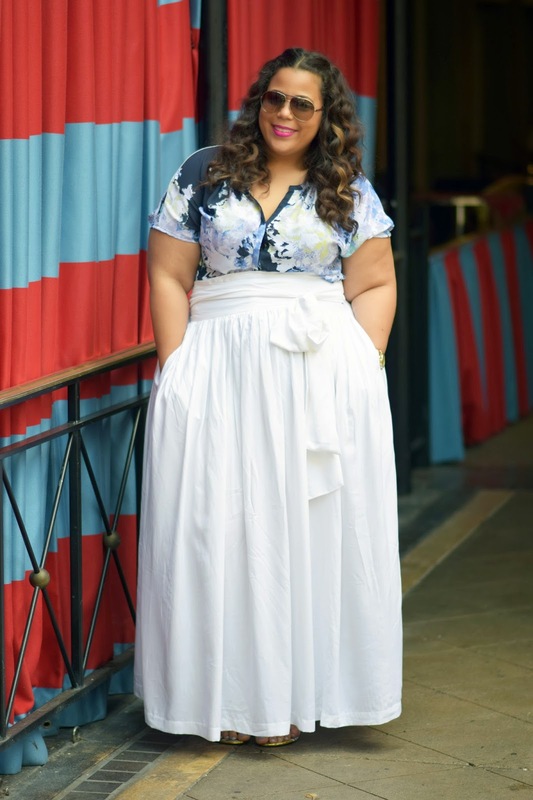 Style Notes: This look is very lounge-y. With this shirt tucked out it can look like pajamas. It kind of reminded me of the pajama look that was popular last year. I would suggest either tucking in the top or tying the top like I did here. The top and pants have no stretch in the actual fabric, but the waistband has elastic. I got a 4X in the bottom and a 3X in the top. 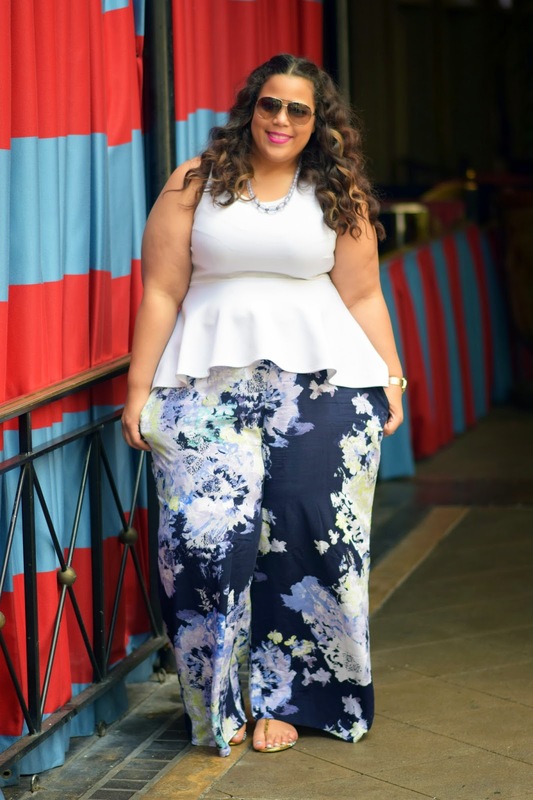 I have been deathly afraid of palazzo pants for years. 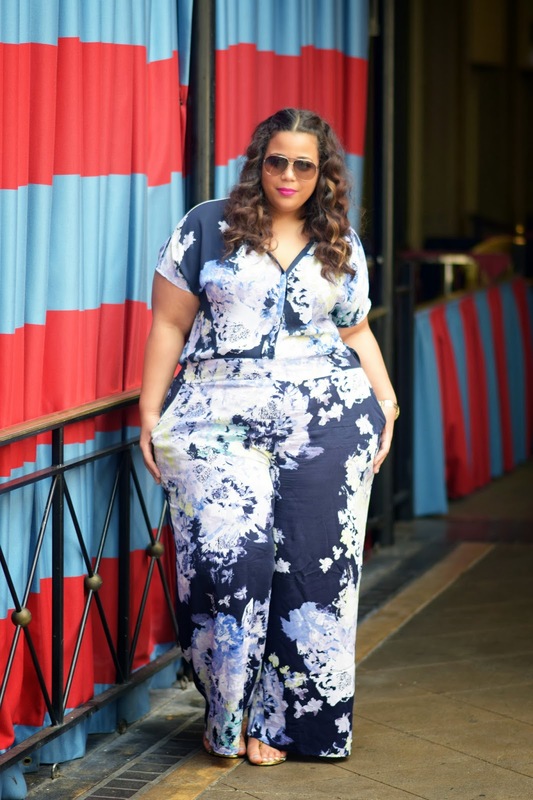 If you have big thighs, there can be bunching issues, and palazzo pants don't look good, to me unless the leg falls straight. The fabric is smooth, so it helps with keeping the pants fluid and in place. Also FYI, there is free shipping on orders over $25. Happy Shopping!! This post is a part of a series of sponsored posts by Target, all opinions and style are my own.